This is a just a quick review of this year's Goodwood Revival. As always, a wonderful weekend of fun and frolics plus a smidge of hard work thrown in. We'd love to play a bit more as the event has so much to see and do - it's simply overwhelming. For us, our days at the event start at 7am and we shut at 7pm - but the days really do fly by. This was our 5th year and I discovered another section of the event that I didn't even know was there! 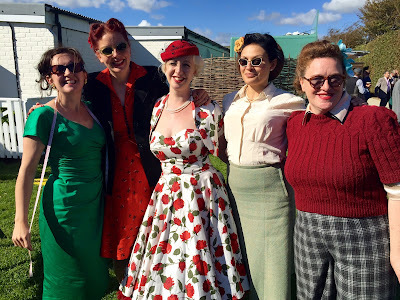 This time - a whole area dedicated to 40s re-enactment (although its not new) and bumped into Harry & Edna, Charlotte from Restoration cake, Lillian Love of pinup model fame and friends (see below). I was lucky enough to be gifted an extremely nice cup of tea and a rest. 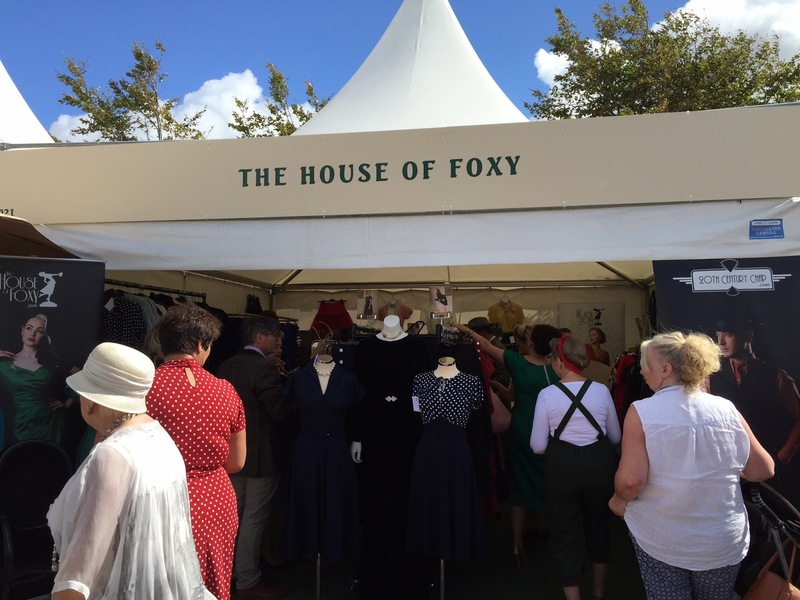 For those who haven't been to Goodwood Revival - the event for most is centred around vintage car racing. 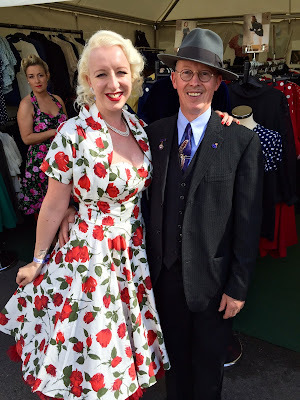 For others, its centred on dressing up and general nostalgia. 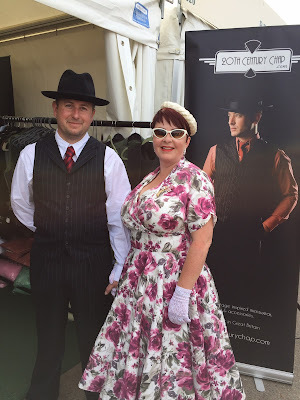 Around 80% of visitors dress up in original vintage or reproduction clothing. The event has a vintage fairground and plenty of other vintage themed entertainment throughout the weekend. 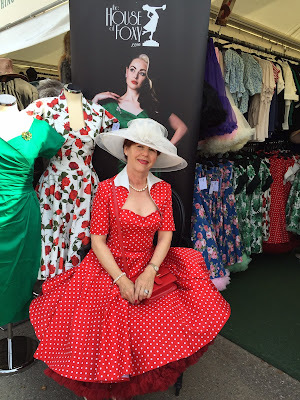 We love that every year we are visited by some of our regular customers that we maybe only see at Goodwood and they come to show us their fabulous outfits. 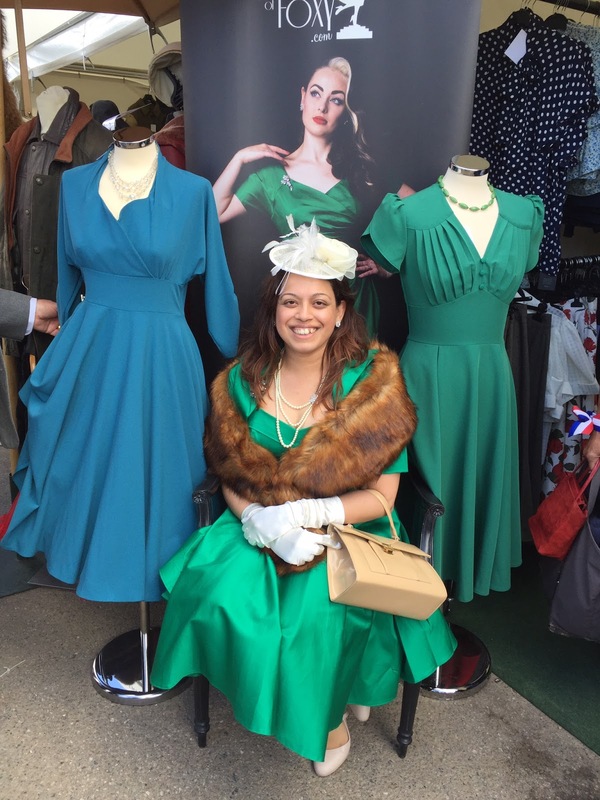 We also enjoy meeting new customers and love their enthusiasm for the event. 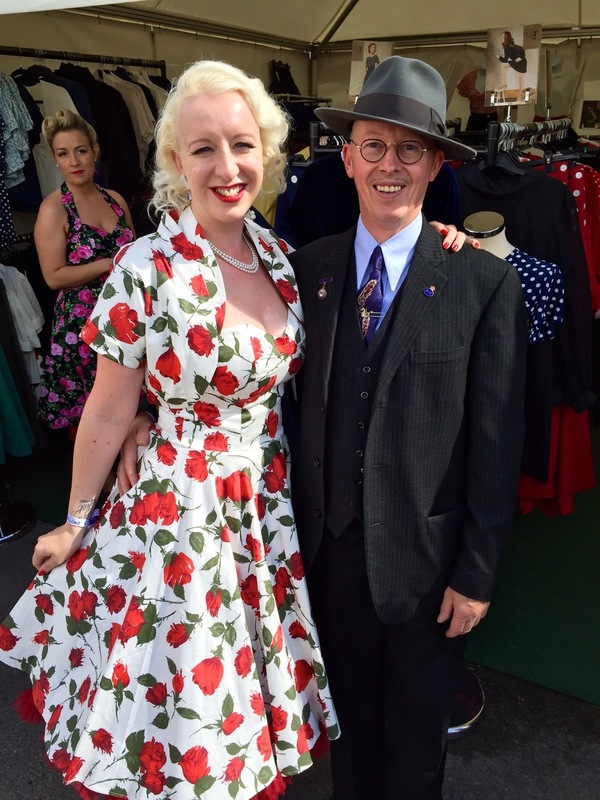 Goodwood Revival customer in our 40s Halter Swing ensemble - great hat too! This year, we also took a rail of 20th Century Chap stock to trial so that we can look at having a separate stall for the menswear in future. Apparently, this is especially helpful for those ladies wishing to deposit their men somewhere so that they can get on with the shopping ;-) I promise to bring the bagatelle for you chaps!